Situated 600 metres from Blue Corner and 2.5 km from Mangrove Point, Putra 7 Cottage in Nusa Lembongan features air-conditioned accommodation with views of the pool and free WiFi. Some units feature a terrace and/or balcony. The holiday park offers an outdoor pool. Guests can relax in the garden at the property. Mushroom Bay is 4 km from Putra 7 Cottage, while Devil's Tear is 4.3 km away. 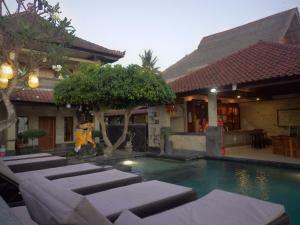 The nearest airport is Ngurah Rai International Airport, 81 km from the property. When would you like to stay at Putra 7 Cottage ? 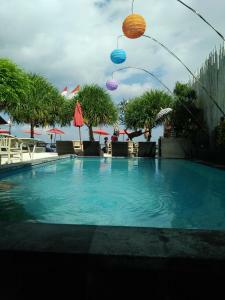 Each day we'll check prices and send you an email for your selected dates at Putra 7 Cottage. If you don't have specific dates but would like to check prices for say next weekend or say next month we can check the price too. Click to write a review and share your experience of Putra 7 Cottage with other travellers.